Hey y'all! I hope your week is going well! 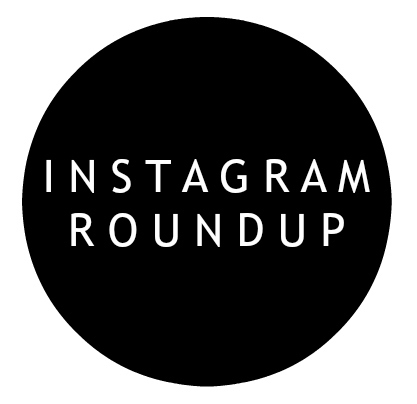 Today, I'm sharing my weekly roundup of outfits and more that I've shared over on Instagram. I have been living in layers and cozy sweaters! I wore this outfit on Thanksgiving and it was the perfect blend of cozy and festive. 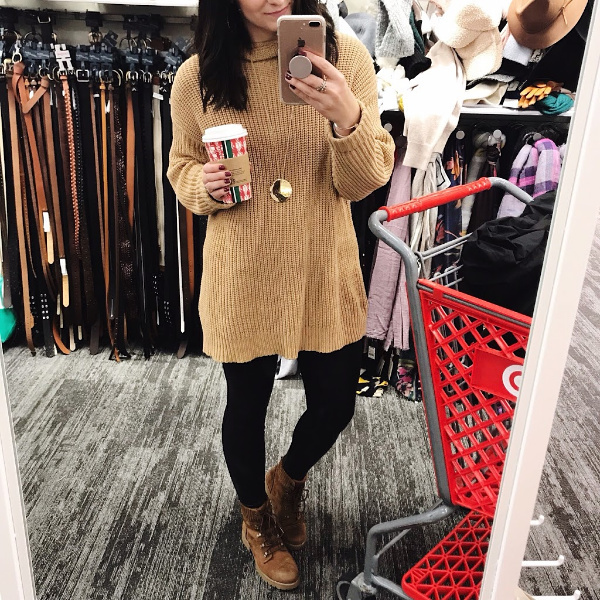 This sweater is my favorite top in my closet right now! I have finally been able to put some of my cardigans to good use lately. This Barefoot Dreams cardigan is the softest fabric of all time. So super soft! I'm not sure who loves Target more... me or my girls. 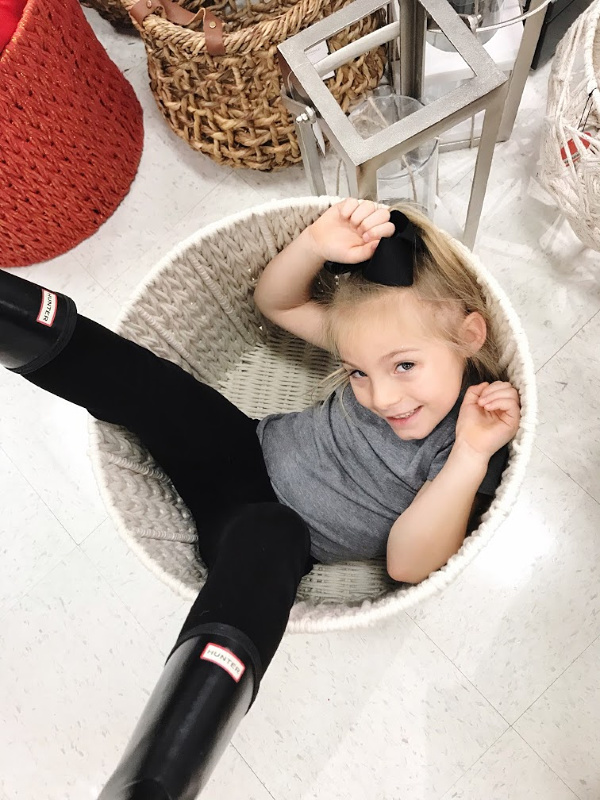 I'm also kind of wishing that it was socially acceptable for me to sit in a basket, too. Layers, layer, and more layers. 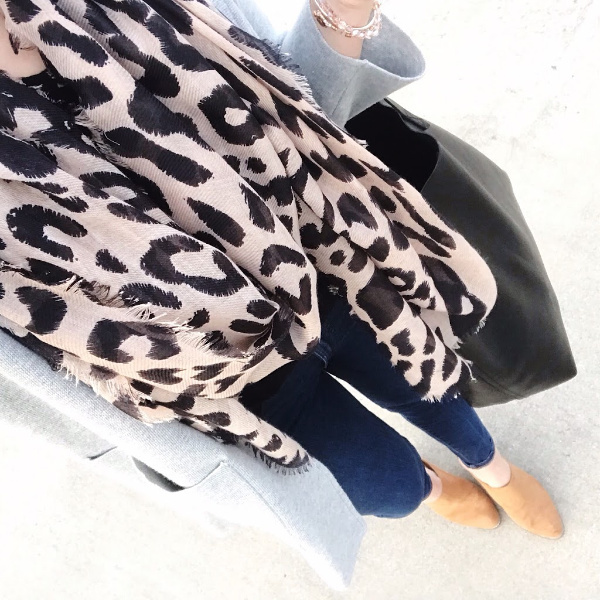 Like I mentioned yesterday, I'm not a fan of bulky, oversized coats but I am a big fan of layering! 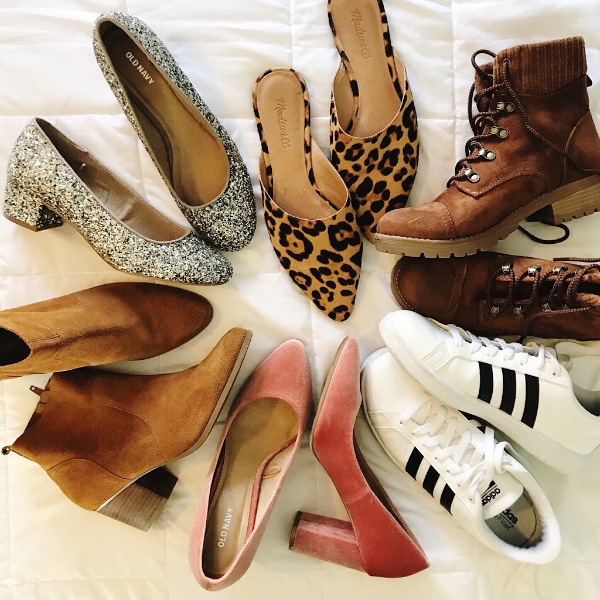 I haven't bought that many clothing items lately because I want all of the shoes! Here's that perfect cozy sweater again. I've worn it with jeans and leggings because it works with everything. 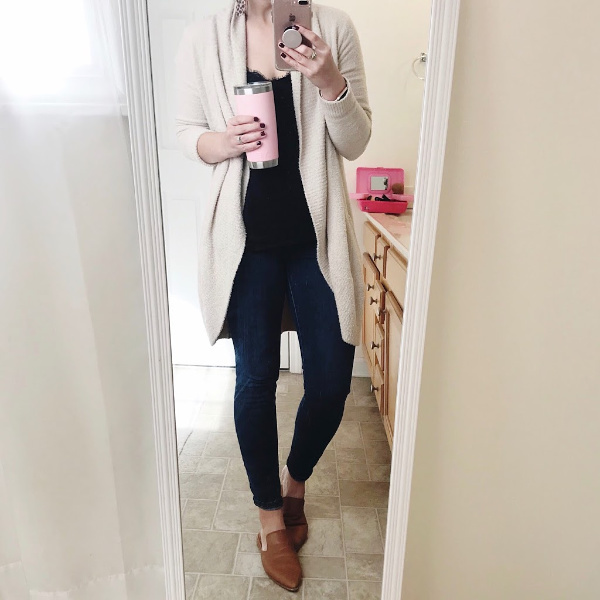 I also love the neutral camel color! 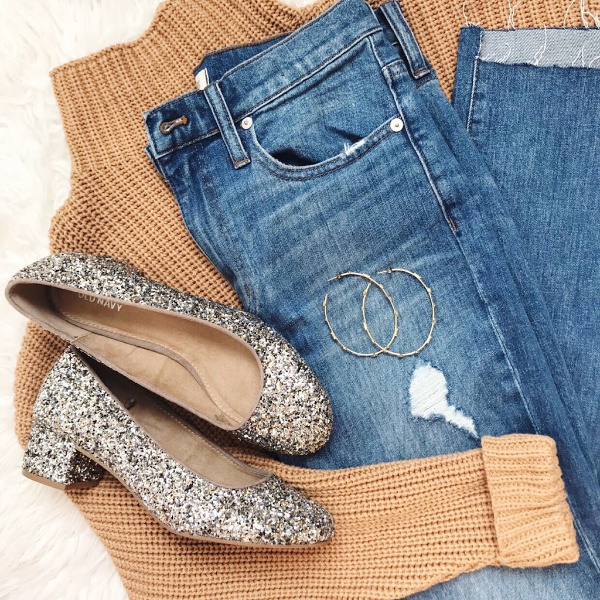 Glitter goes with everything, right?! 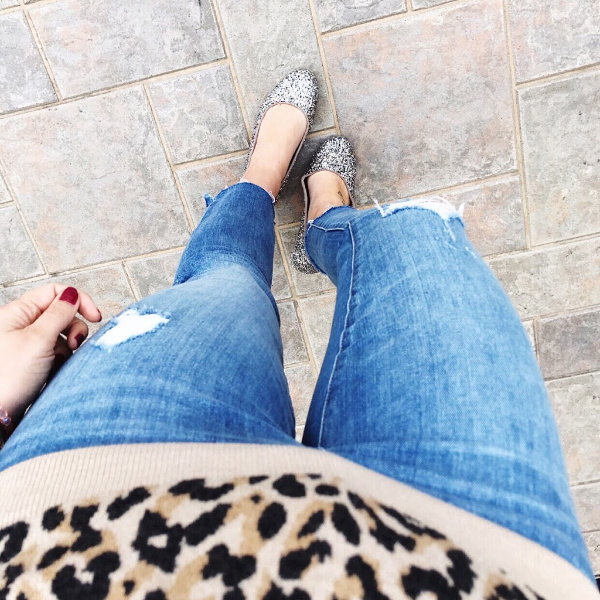 I have taking advantage of every opportunity to put on these super festive glitter block heels.